AUDITION BOOTCAMP ONLINE COURSE IS HERE! 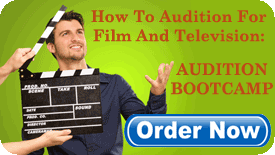 “How To Audition For Film and Television: Audition Bootcamp” is now online! Hey gang, Happy Holidays! I wanted to let you in on a special limited time offer on a new online course I’ve created. Thousands of people have bought my Audition Bootcamp DVD and many have asked me to put it online. Are you a really well trained actor, but you seem to stumble when it comes to auditioning?! Or, are you just starting out and need a road map to navigate the slippery slopes in Hollywood? 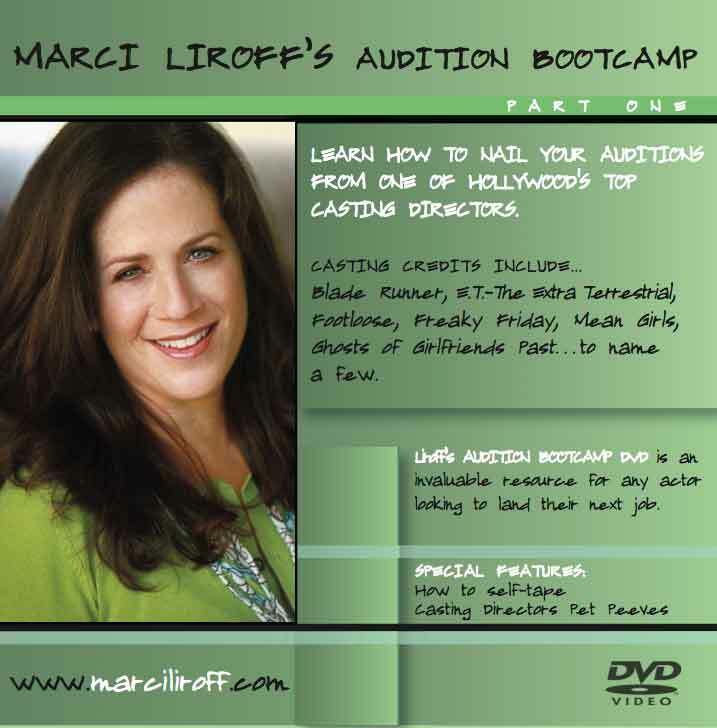 Based on my top-selling DVD, Marci Liroff’s Audition Bootcamp, I created a one-of-a-kind online class to help actors learn exactly what it takes to win the role in a film and television audition. I’ll take you step by step on the audition process. Essential knowledge into the competitive world of auditioning from the point of view of directors, producers, studio executives and casting directors. Easy-to-follow video clips take you through the process from preparation, what you should be doing in the audition room (and what not to do! ), and your all-important mindset before, during and after the audition. As an added bonus, several of my blog articles are included throughout to highlight the course. Competition is huge in this business – this course will give you the edge over other actors. I know you’re all being sold gimmicks and tools and shortcuts to “Get on the red carpet” and “Get on the A-List”…frankly I don’t think that should be your goal. If all you’re seeking is fame, then you’re probably in it for the wrong reasons. I believe, and I think you do too, that you’re an artist – a storyteller. You want to be on stage and on screen because you have a story to share and characters to embody. I’m teaching this course on the UDEMY website. UDEMY is an online education platform and one of the largest destinations for online courses. I find it to be easy to use, free to join, well organized and once you subscribe you have lifetime access to my course. The course is priced at $29. You can get a lifetime of viewing for this course here. I’ll be adding new lectures throughout the year. Happy Holidays everyone. I hope you’ll take advantage of this offer! 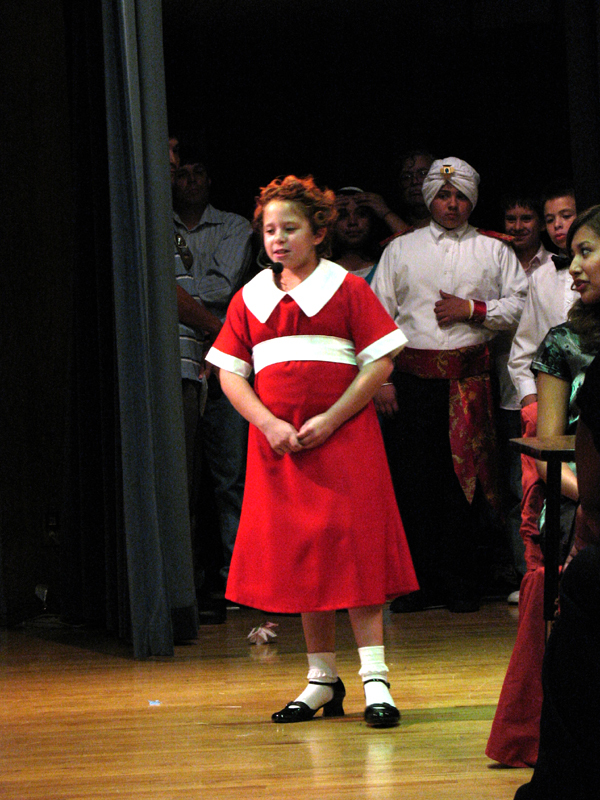 WHEN IS THE RIGHT TIME FOR YOUR CHILD TO BECOME AN ACTOR? So your child wants to be an actor? Really? Please think about this long and hard. Let me share my perspective as someone who has worked with children for the last 35 years as a casting director and acting coach. Here’s what I actually want to hear: “I asked my mom if she could get me involved in acting because I just love it. She said no, but I kept asking her every year and she finally said yes. I’ve been in plays at school and just can’t wait to start my new acting class.” Or, “Because I have to. I need to tell stories.” A wise little girl told me, “I just love to zip out of me and zip into another character.” These are the kids that make it. These are the kids who are there for the right reason. Anne Henry, co-founder of BizParentz Foundation and the mother of a young actress herself, says, “When kids are asked why they want to act, I like to hear things like ‘I love to create characters and tell stories. I love to make people laugh.’ Or ‘If I couldn’t be a professional actor, I’d still be performing somewhere—at my school, in a class, or in community theatre.’ I’m looking for some sort of answer that tells me that the child likes the day-to-day job of acting. Rather than ask kids why they want to act, I like to ask them about their favorite acting experience and why it was great. Their answer will tell you a lot, and tends to negate any canned answers they learned from their parents. On the flip side, I cringe when a child says, ‘I want to make money’ or ‘I want to be on the Disney Channel.’ When I get that kind of answer, I know that they don’t love the art. That answer tells me that they bought into the fame myth or they haven’t actually done any acting. If this is their perspective, they are unlikely to have the stamina for the real job—they just want the result (fame), not career itself (acting). They probably don’t understand that fame for a child is usually not very fun, and not very likely. Talk to your child before and during their journey into acting to make sure they’re here for the right reasons. If you started as a child actor, how and why did you get into it? Parents – please share as well!